Demonstrating dedication and hard work throughout the school year, a select group of students were chosen to perform at Thursday night’s honors recital held at the First Presbyterian Church in Arkansas City. The Cowley College Visual and Performing Arts Department put on the recital which featured vocal and instrumental music students. 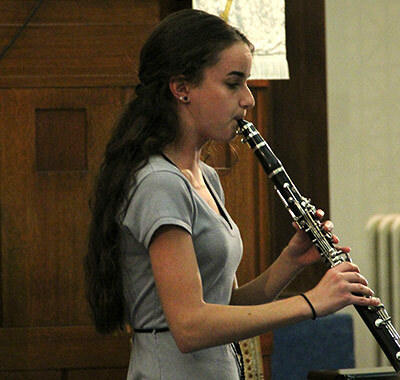 Fourteen vocal students and four instrumental students were featured. 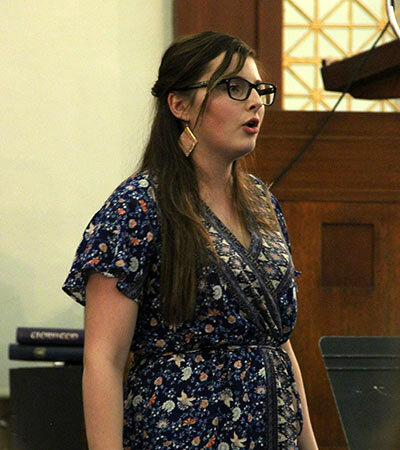 Vocal music instructor Lindsay Allen was happy the students had an opportunity to showcase their talents in a beautiful venue such as the Presbyterian Church. Instrumental students had the opportunity to study with director of instrumental music Evan Ricker, Tyler Gauldin, or Aaron Fisher. Vocal music students that performed on Thursday were, Stephan Harris, Jon Lee, Alex Randall, Mary Wellman, Monica McCann, Caleb Bettles, Allie Lawrence, Riley Payé, Kelsey Carpenter, Kaitlyn Stallard, Keaton Biddle, Suzanna Smith, Austin Sherman, and Molly McCune. Instrumental music students that performed were, Symantha Shelton, David Bartlett, Sarah Manning, and Todd Clubine.